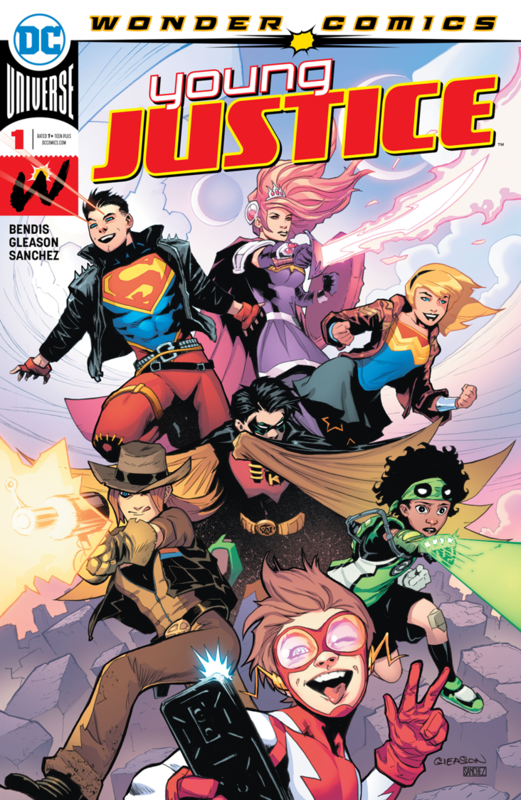 DC Comics Universe, Wonder Comics, Young Justice #1 Spoilers and Review follows. 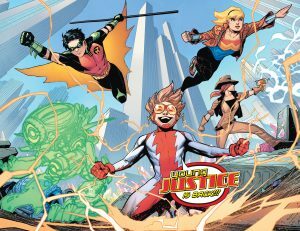 Conner Kent Superboy, Bart Allen Impulse, Time Drake Robin, Cassie Sandsmark Wonder Girl and More Are Back! 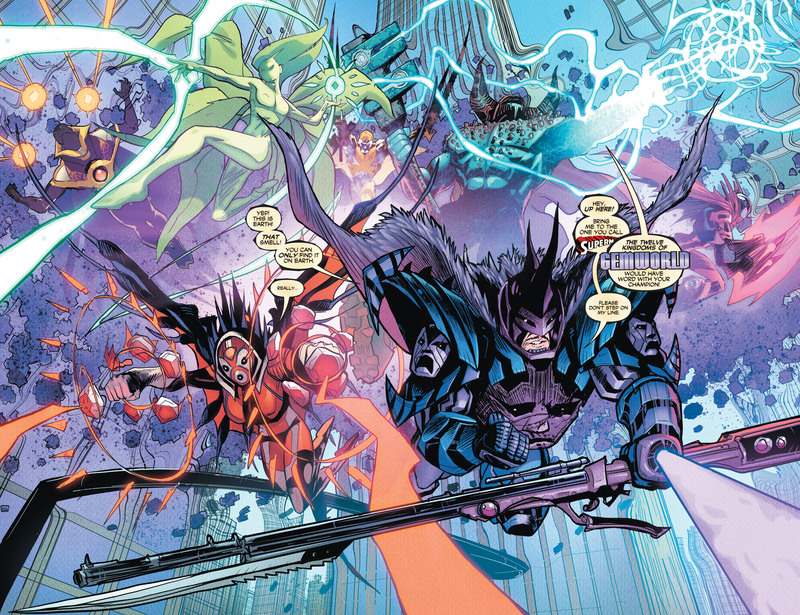 The book opens with denizens of Gemworld attacking Earth! They attack Metroplis where Robin and Wonder Girl meet up by happenstance before the attack! Naturally they engage the threat. 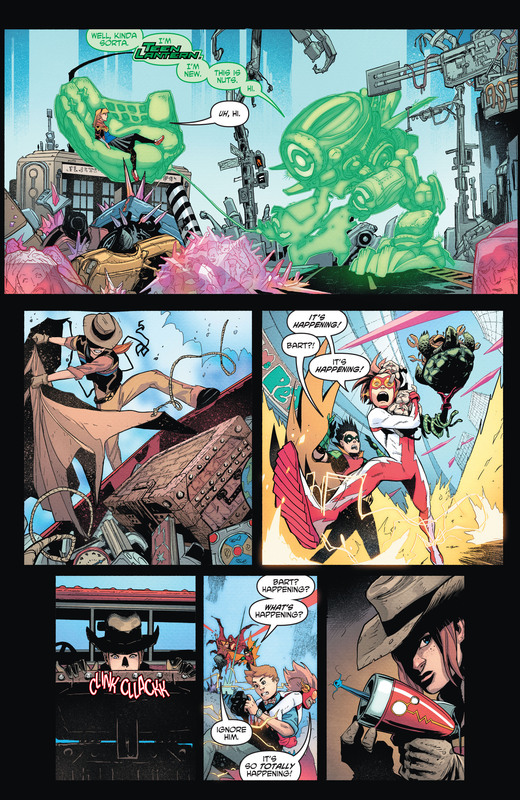 …as do new heroines Teen Lantern (tied to Green Lantern Corps lore) and Jinny Hex (related to Jonah Hex). 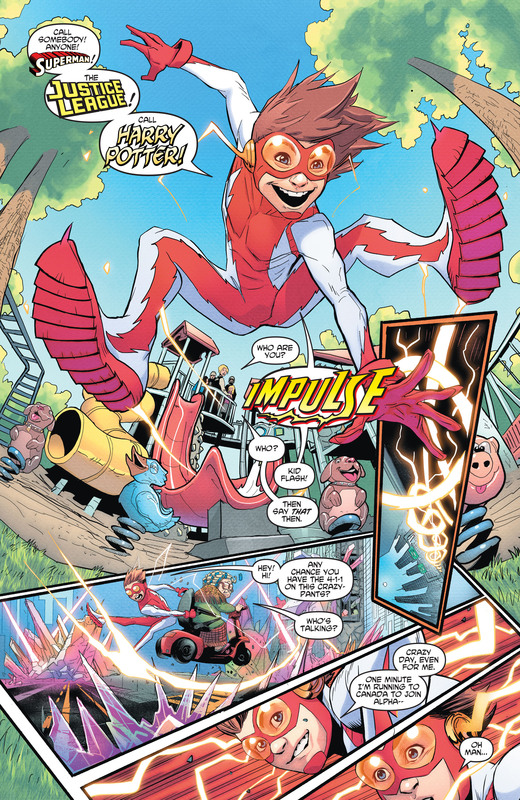 Impulse is thrilled that Young Justice is back! 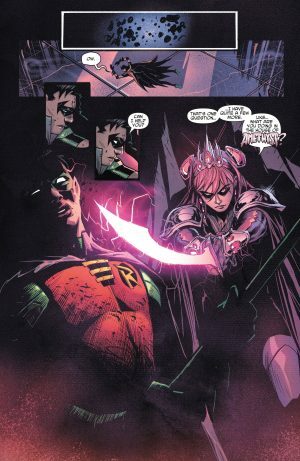 During the battle, Robin gets seperated from the team is confronted by Gemworld’s Amethyst. 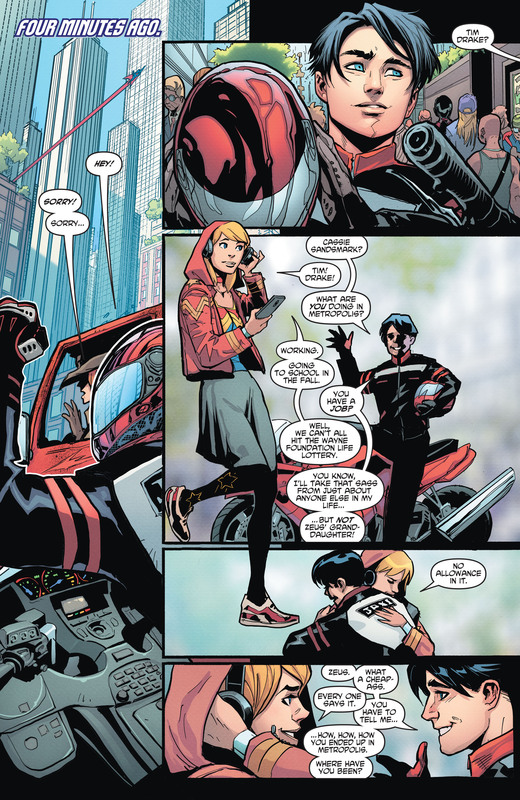 …ends up bumping into Superboy?! A fun and action-packed issue with amazing art. The new characters are intriguing, as are the classics, but it is a bit confusing that everyone seems to remember Impulse when I don’t recall when he’s been remembered. 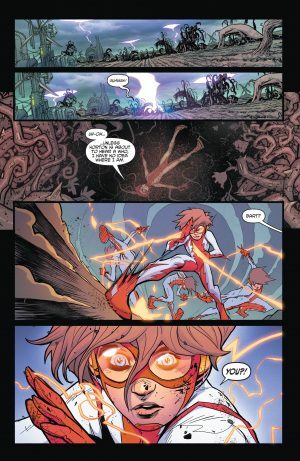 I know in the issues of the Flash, Barry Allen has been remembering, but are all the forgotten heroes and heroines remembered now? 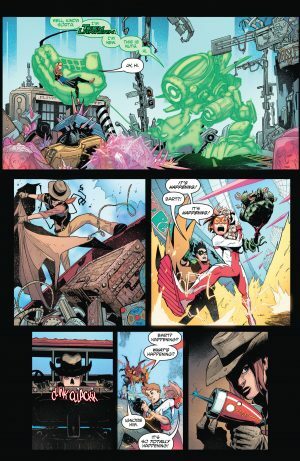 Entertaining nonetheless and I hope this confusing bit will be explained in an upcoming issue. 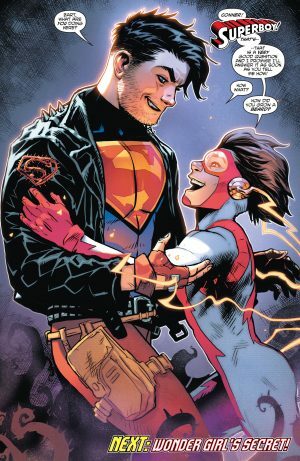 8 out of 10.